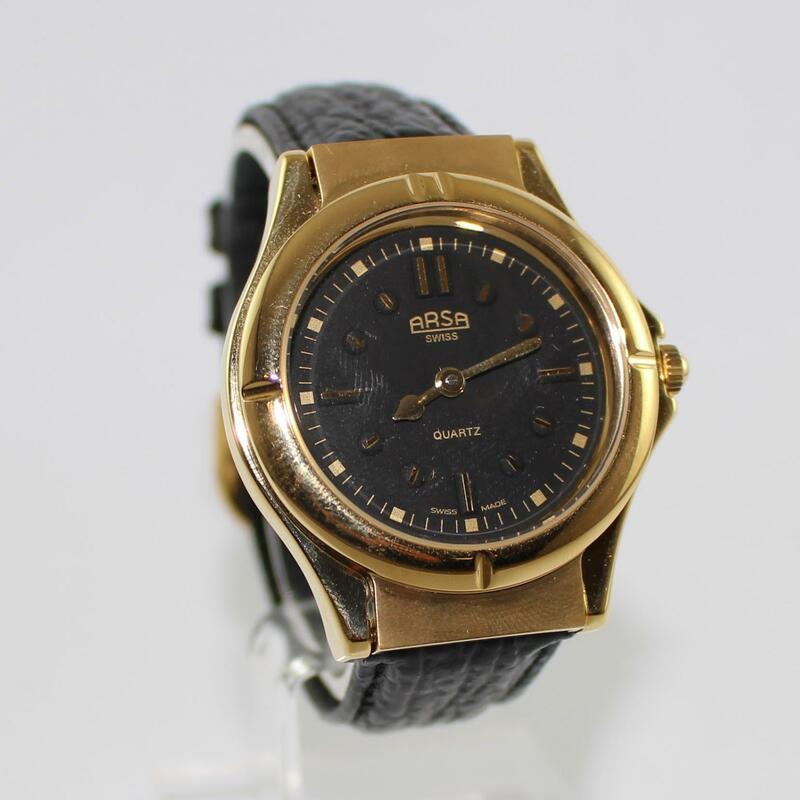 This gents gold tactile watch has a matte black dial & black leather band with gold markings at each hour. This gents gold tactile watch has a matte black dial & black leather band with gold markings at each hour. The glass cover lifts and opens.